To work properly, BLT for LabVIEW must store and retrieve data on a Licensing Server. As a user of BLT, you must have your dedicated Licensing Server in order to manage your own products and licenses. Your Licensing Server can be either hosted by us (STUDIO BODs) or by you. If you want to host the Licensing Server on your own, you must contact us and we can arrange an installation and configuration on your infrastructure. By default, when you start BLT for LabVIEW for the fist time, you get the following window, meaning that your instance is not yet registered on any Licensing Server. 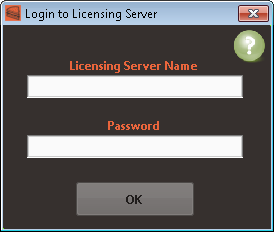 •If you are already a user of BLT, you can try to Automatically retrieve your License Server information. In this case, BLT will look into your license details and try to retrieve the information of a previous registration. •If you are using BLT for the first time, you have to Register on a free License Server. This process will create on our infrastructure a new Licensing Server dedicated for you. 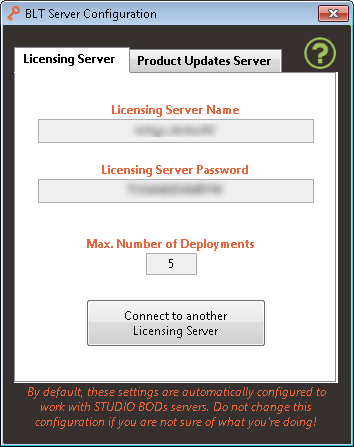 By default, this free Licensing Server is limited to 5 deployment licenses. Feel free to contact us if you need more. •Click on "Connect to another Licensing Server". This will require BLT for LabVIEW to restart and you will be prompted for Registering on a BLT Licensing Server as explained at the top of this page.